In a management reshuffle, HTC Chairwoman and co-founder Cher Wang has been stepped up as the company's new chief executive. The announcement came on Friday. The Taiwanese electronics maker, in a press release, said that Cher Wang, Chairman and co-founder of HTC, is replacing Peter Chou. 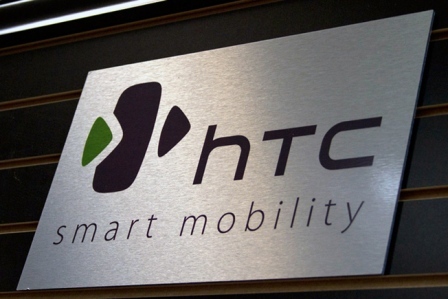 Now, Chou will be getting a "strategic" position in product development as the leader of HTC's Future Development Lab. According to the company, in the last two years, Chou's main attention was on product development, while he handled over more of his chief executive responsibilities to Wang. The company said that both the board of directors and executive team has decided that the time has come to formalize and finalize the changes in corporate position. Washington, Feb 23 - Pictures of HTC's new model called One M9 has reportedly been leaked out just days before its scheduled launch. 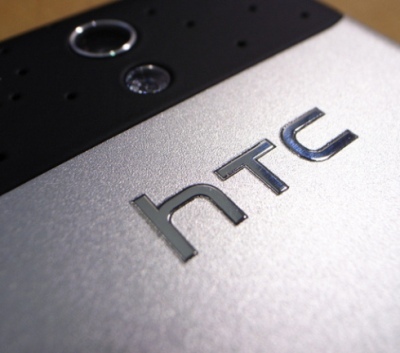 According to the Verge, Mobile Geeks has come across online listings of HTC's new flagship - expected to be called the One M9 - which provide a full set of specifications and press images alongside a price of 749 euros in Germany. The leaked pictures show that the new phone will have a 2GHz octa-core Snapdragon 810 processor, 3GB of RAM, and 32GB of storage plus microSD expansion. The device will operate on Android 5.0 Lollipop and will come equipped with a new Sense 7 software skin. Washington, Jan 29 - HTC is likely to announce two new phones at the company's press event on March 1st at the Mobile World Congress trade show. According to the Verge, a new image posted by Evan Blass to his Twitter account shows two new, never-before-seen HTC smartphones that have similar design traits to other recent phones from the company. The image suggests that the new devices will have metal chassis, center-mounted front cameras, and HTC's signature front-facing BoomSound speakers. One of the devices seems to have a fingerprint scanner below the HTC logo. Washington, Oct 09 : HTC has reportedly admitted that it is planning to launch a smartwatch but added that it has decided to put it on hold till early 2015, a report said. The company was earlier planning to launch a wearable device around now. HTC Americas head Jason Mackenzie said that that the launch date was postponed because the smartwatch wasn't ready, reported PC World. Drew Bamford, head of HTC's wearable devices team said that the company wanted to make sure that when they enter the technology market with their product, it gets a "strong point of view" and gives customers a compelling reason to strap it on their wrists. Washington, Oct 9 - HTC on Wednesday announced a new digital camera called the Re Camera, which pairs to iOS or Android smartphones to make it easier to click pictures on-the-go. The Re Camera isn't supposed to be an extreme sports action camera and is for people that are just living normal lives, HTC said. 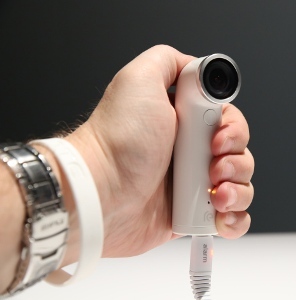 Priced at 199.99 dollars, the Re Camera is a handy device which is shaped like the English alphabet 'J', has a minimalist design, a button on the front and a one on the back, and a couple of LED indicator lights, The Verge reported. However, there's no viewfinder, no display, and no graphical user interface. Washington, Oct 6 - Taiwanese smartphone manufacturer HTC is reportedly planning to mount a 13-megapixel front camera on its upcoming smartphone - HTC Desire. 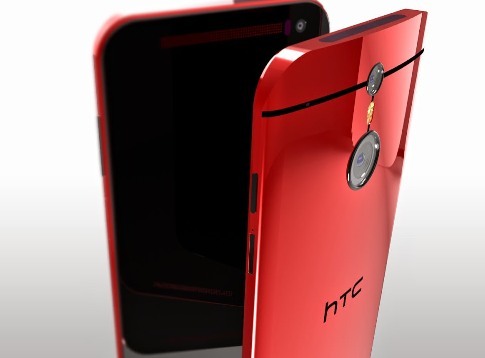 Latest leaks in the mobile world hints advancement to the HTC One M8, and a 13MP front camera phone - HTC Desire. A mulligan to the One M8 and a Desire for selfie lovers would give HTC plenty of room to play up its phones' camera features, PC World reported. Washington, Aug 28 : HTC has announced Desire 510, the first Android phone to run a 64-bit processor. HTC's Desire 510 is a pretty budget-conscious affair; aside from the 1.2GHz quad-core Qualcomm Snapdragon 410 processor with LTE, it features a 4.7-inch 854 x 480 screen, a five-megapixel camera, and 1GB of RAM, The Verge reported. The primary advantage of 64-bit processing is the ability to address more than 4GB of RAM, so the Desire 510 isn't going to set any power records. 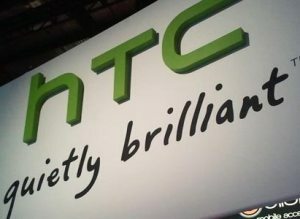 Washington, July 23 - HTC is reportedly mulling launch of 3 new Android-based tablets, including a Nexus device. Long rumored to be the hardware maker of choice for Google's Nexus 8, we should look for this particular tablet sometime later this fall. Presumably, the next-gen device will debut whenever Android L becomes official. The reports also reveal that the tablet could be closer to 9 inches and possibly carry the name of Nexus 9. 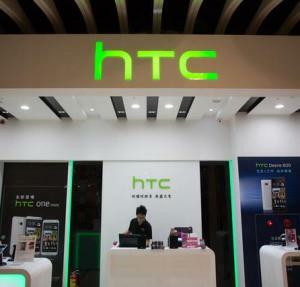 New Delhi, July 11 : HTC has unveiled its latest dual-sim smartphone 'HTC Desire 616' in New Delhi. Speaking at the launch, President of HTC South Asia, Jack Yang, said, "Everyone looks for a combination that offers exciting performance phone at a great value. HTC Desire 616 dual sim is that very phone". "The newest member of our renowned HTC Desire range offers our first Octa-core processor, 8-cores of super-fast processing and premium features at a great price, offering users the best possible experience in the category, he added. New Delhi, July 11 : HTC has unveiled its latest lightweight dual-curve device ' HTC One E8' in New Delhi. Speaking at the launch, President of HTC South Asia, Jack Yang, said, "The HTC One (M8) had set a new smartphone standard and now we're taking it in another exciting direction. Combining style with substance, the new device represents the incredible experience people expect from a HTC One device with a look and feel that's unlike anything else out there today". Washington, Feb 21 : HTC is reportedly set to launch three wearable devices at the upcoming Mobile World Congress, including a rumoured Google Now smartwatch. The Taiwanese manufacturer would introduce a HTC smartwatch, based on Qualcomm's Toq smartwatch and use that company's Mirasol display, featuring Bluetooth connectivity and a music player, apart from an electronic bracelet that plays music. Sources have revealed that another smartwatch that HTC is working on would be based on the Google Now service, The Verge reports. Washington, Feb. 16 : Commenting on HTC's speculated future Windows Phones, the company's executives said that nothing concrete was in works regarding future products. During an "Ask Me Anything" session on Reddit, HTC executives answered about the company's product strategy including its use of the Sense UI versus its Google Play Edition. However, the company refrained from talking in detail about the future of Windows Phone User " 0157h7 ", PC World reported. Washington, Feb 11 : HTC is reportedly planning on increasing the number of midrange phones this year, and selling them at a cheaper price than its current models, in an attempt to turn around its slumping finances. HTC's chief financial officer Chang Chia-Lin said that the company would sell cheaper phones in the price range of 150 dollars to 300 dollars price in both existing and developing markets. Washington, Feb. 11 : Nokia and HTC have reportedly settled their long-running patent infringement battles by agreeing on a 'patent and technology collaboration' that would settle all outstanding litigation. Patent battles between the two mobile manufacturing companies were being played out in several countries and have seen a handful of HTC phones banned from sale in Europe. Washington, Feb 8 : HTC and Nokia are peacefully settling their patent dispute amid reports that the two companies are planning to collaborate for future projects. The leading tech companies have said that they would settle their legal differences, with Nokia agreeing to settle suits in patent deal. According to Cnet, under the agreement, the two companies will end all their pending patent lawsuits and HTC will pay Nokia its dues for access to Nokia's technology. Taiwanese smartphone maker, HTC has expanded its desire series with the launch of three smartphones to attract new customers in the market. The company announced the launch of Desire 501, Desire 700 and Desire 601 in the market in the mid-high range price category. All of the three devices come with Dual SIM and Dual Standby feature. HTC desire 501 is priced at Rs. 16,890 while the other two devices, Desire 700 and Desire 601 are priced at Rs. 33,050 and Rs. 24,190, respectively. The devices run on the Android 4.1.2 Jelly Bean OS and feature HTC Sense UI.